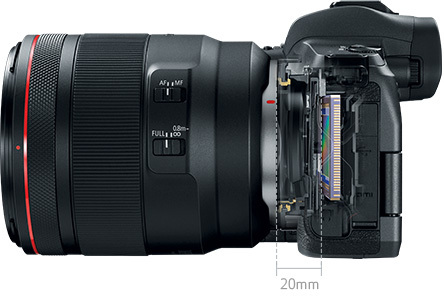 The large diameter and decreased distance between the rear lens element and sensor enable a compelling combination of image quality, performance and compact lens design. 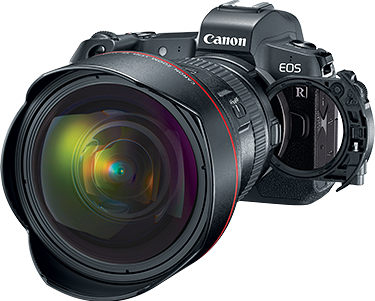 The RF mount retains the same, large 54mm diameter as the current Canon EF mount, but thanks to the EOS R and EOS RP cameras’ mirrorless structure, the rear lens element can be much closer to the image plane. This combination opens up a number of possibilities. 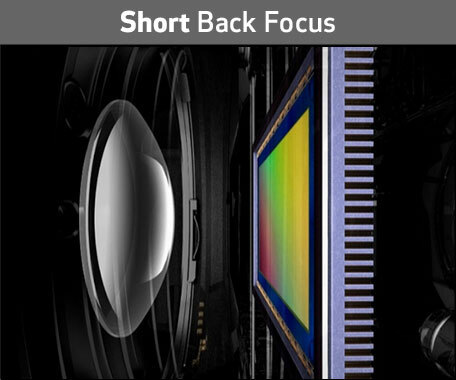 The rear element of RF lenses can be larger in diameter, improving image quality at the corners and outer edges of the frame. 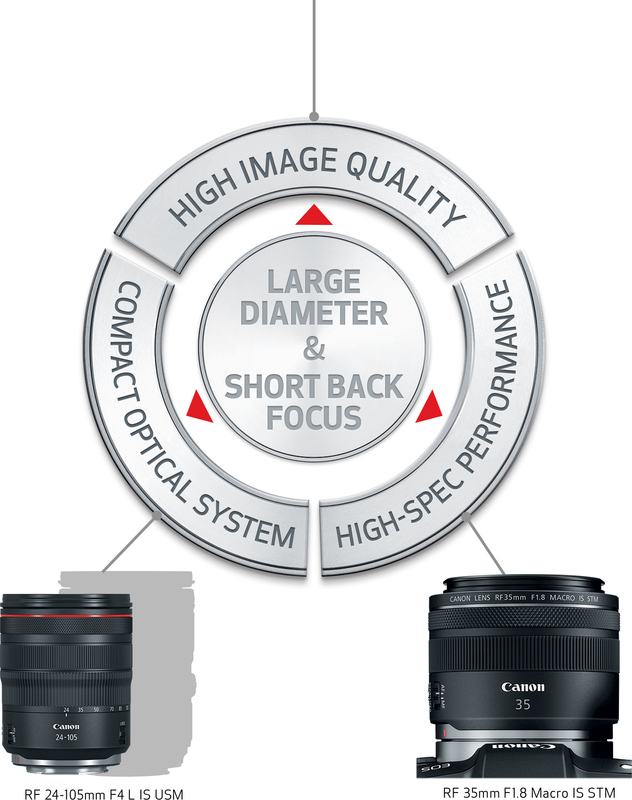 Larger rear elements mean front elements can be smaller, meaning less strong refracting and bending of light rays within the lens, enhancing optical performance. Most importantly, the EOS R system opens the door to the future. 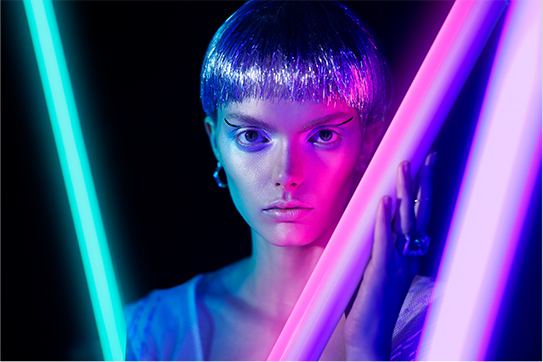 It unlocks more freedom and flexibility in lens designs, allowing faster lenses with increased optical performance in more compact forms than before. Mount adapters deliver seamless connections between the EOS R and EOS RP cameras and EF and EF-S lenses with all functions intact. 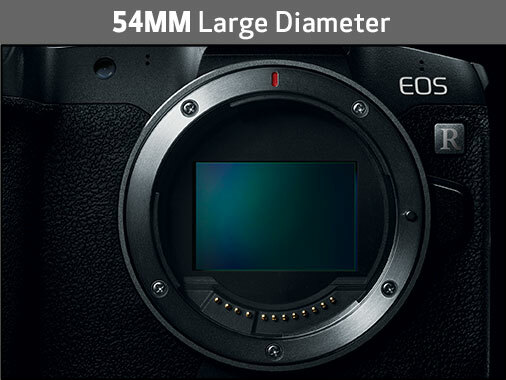 Offering L series level weather and dust sealing, they are even compatible with EF extenders like the Extender EF 1.4x III to extend your camera’s optical reach. 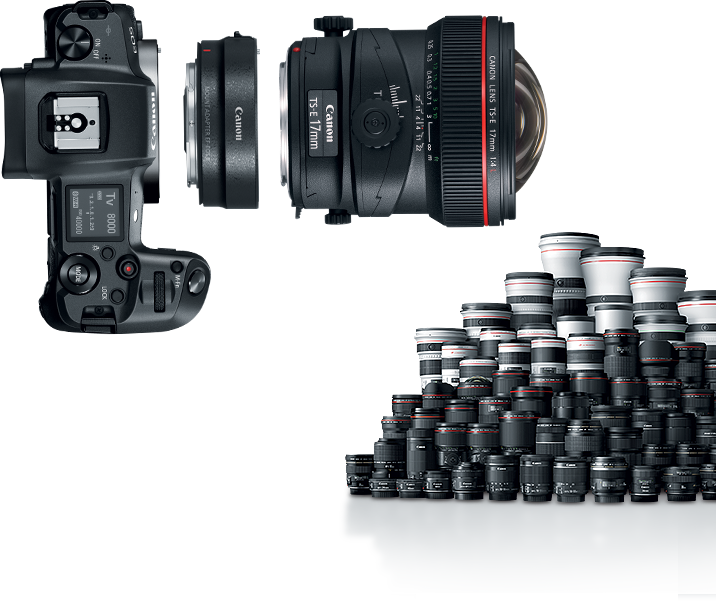 With an entire arsenal of EF and EF-S lenses at your disposal, these mount adapters ensure endless creative possibilities for EOS R series cameras. Take full advantage of the EOS system by using any EF/EF-S lens with the EOS R and EOS RP cameras by way of three optional mount adapters, including one featuring a customizable control ring and another allowing you to drop in a circular polarizing or variable ND filter. Lightweight and compact, the Mount Adapter EF-EOS R connects EF and EF-S lenses to the EOS R and EOS RP cameras, exponentially expanding the list of compatible lenses. 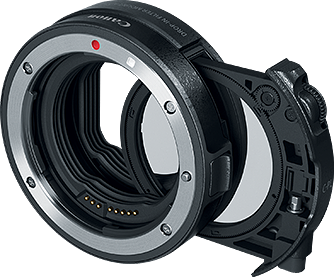 The Control Ring Mount Adapter EF-EOS R adds a control ring like those found on RF lenses, providing the same level of control to your EF and EF-S lenses and supporting the same setting configuration regardless of the lens. 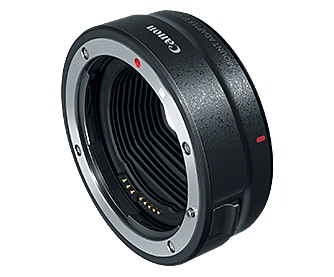 The Drop-in Filter Mount Adapter EF-EOS R enables compatibility with EF and EF-S lenses and includes drop-in filter capability for use with circular polarizing filters or variable ND filters (from ND3 to ND500 - equivalent to 1.5 to 9 f-stops). 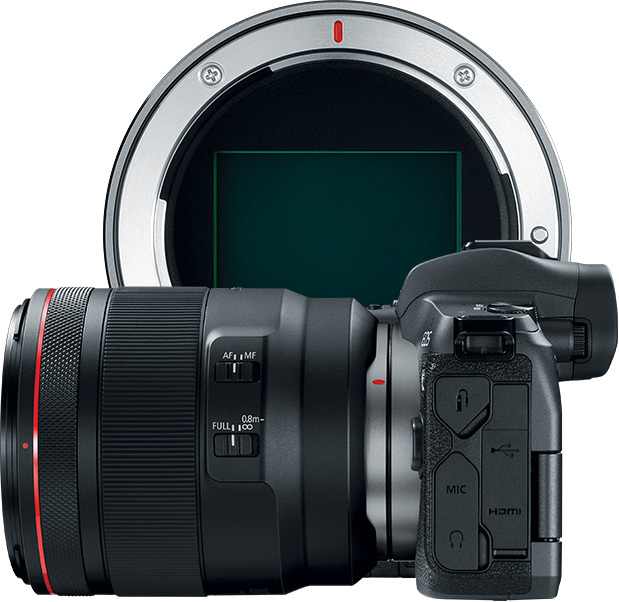 ** This enhancement enables compatibility with numerous lenses regardless of their front diameter, and makes filter use possible with lenses like the ultra wide EF 11–24mm f/4L USM lens or the tilt-shift TS-E 17mm f/4L lens which cannot accept a filter on the front. 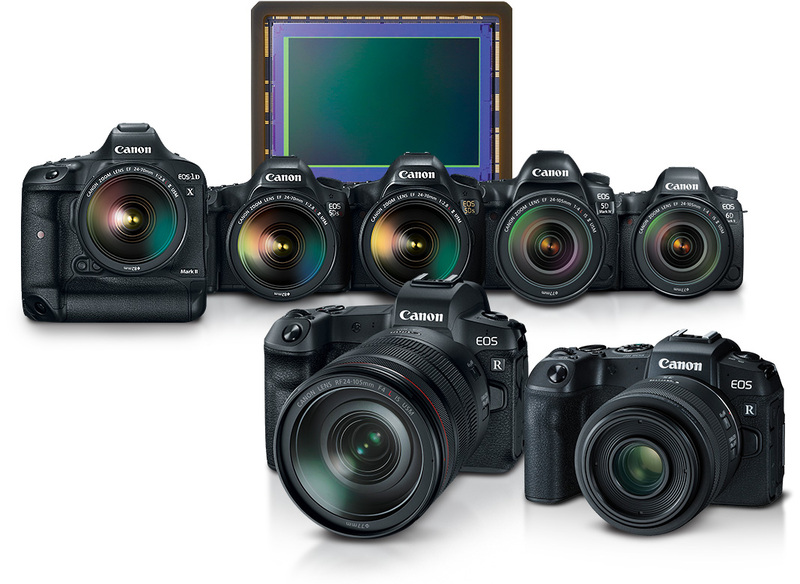 The EOS R and EOS RP cameras help expand the impressive lineup of Canon full-frame cameras such as the EOS-1D X Mark II, EOS 5DS, EOS 5DS R, EOS 5D Mark IV and EOS 6D Mark II to provide a wealth of amazing and powerful full-frame options. 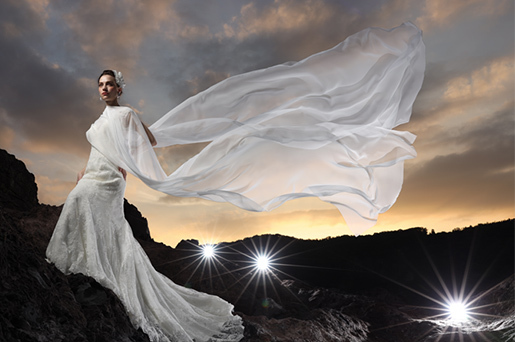 Using lenses at their original focal length, the EOS R series cameras benefit from a range of improvements made possible by the large physical size of full-frame sensors. 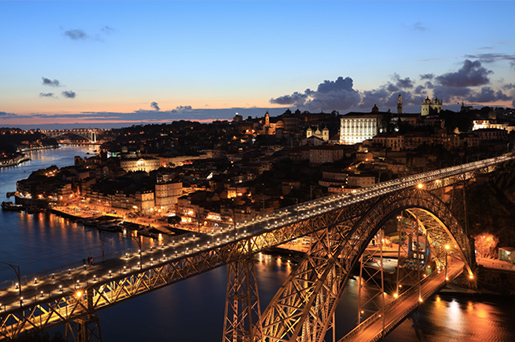 Not only can Canon’s full-frame sensors capture a tremendous amount of information at a full 24 x 36mm, but they can also capture large individual pixels for great quality of detail and low noise. 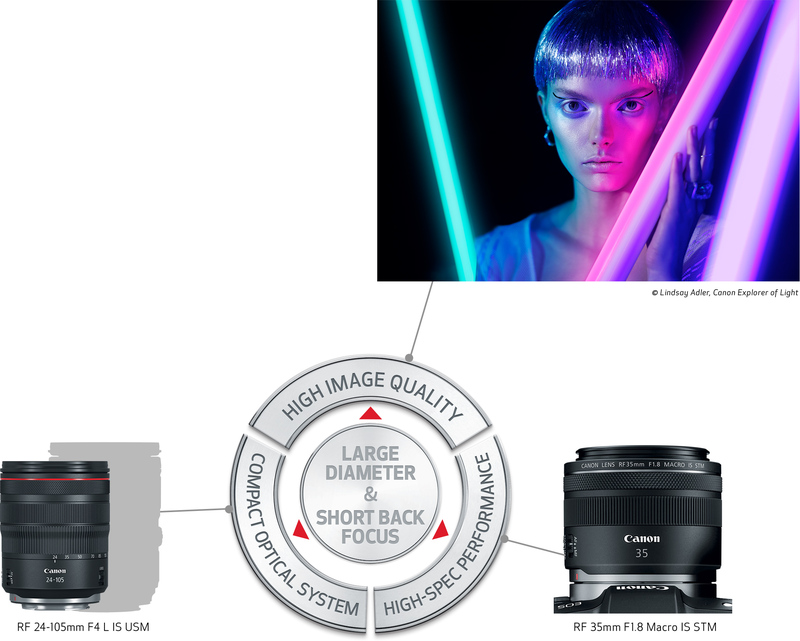 Full-frame sensors offer shallow depth of field by design, making it easy to define depth of focus through aperture choice. 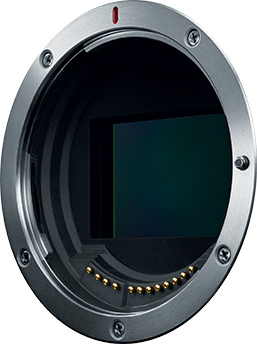 These sensors deliver gorgeous and soft out-of-focus areas when shooting with large apertures. 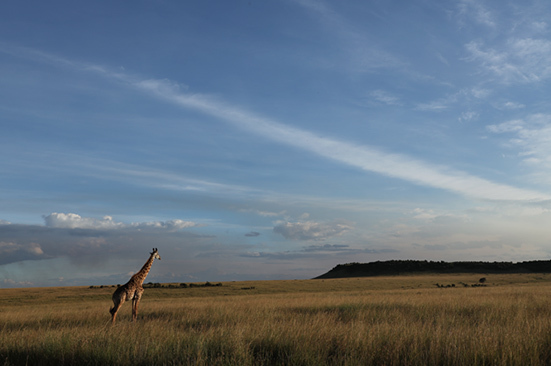 Thanks to full-frame sensors, cameras like the EOS R and EOS RP can take advantage of RF, EF* and EF-S* lenses at their original focal length for impressive wide-angle performance and rendition across the image plane. * Optional Mount Adapter EF-EOS R is required when using EF/EF-S lenses with an EOS R series camera. ** When the solid white line on the adjustment dial is no longer visible (ND250 or above), a blue tinge or density irregularity may occur.